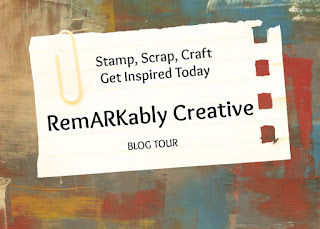 Our group is here to inspire you every month with many different projects that have been made by some of the most amazing crafters that I know. We are dedicated to be here to inspire you every single month, on the last Saturday of the month, all year long. Whether it be a specific theme, season, or event. So, grab yourself a Latte and hop along with us while we proudly show off our projects to you each and every month. Now, for some candy. This month we will be giving one lucky person a Becky Higgins Project Life Season's Mini Kit. For your chance to win this amazing blog candy you must hop through each one of our talented crafters blogs, be sure to leave everyone a little blog lovin', and if you are not already a follower please become one to each of ladies so that you do not miss a single project that they make. line-up of today's hop for you to get back on track and not miss a single project. And don't forget to leave everyone a little blog lovin' and become a follower for your chance to win some blog candy. Thank you for hoping along with us today and helping us to start our hoping year with a bang! Beautiful card, I love it. 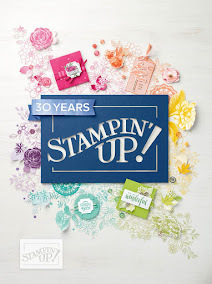 I need to pull out my embossing powders again, but first I need to clean my craft area, lol. Thank you for sharing and being part of the group. Great job, Candice. I love the colors. I need to do more with my embossing powders. I don't use them enough. Thanks for sharing and looking forward to doing more hops with you. I love your card, the colors are fabulous! I just loved how the background turned out! so beautiful! Love the background colours. Beautiful card. It sure is the FREEZING SEASON! 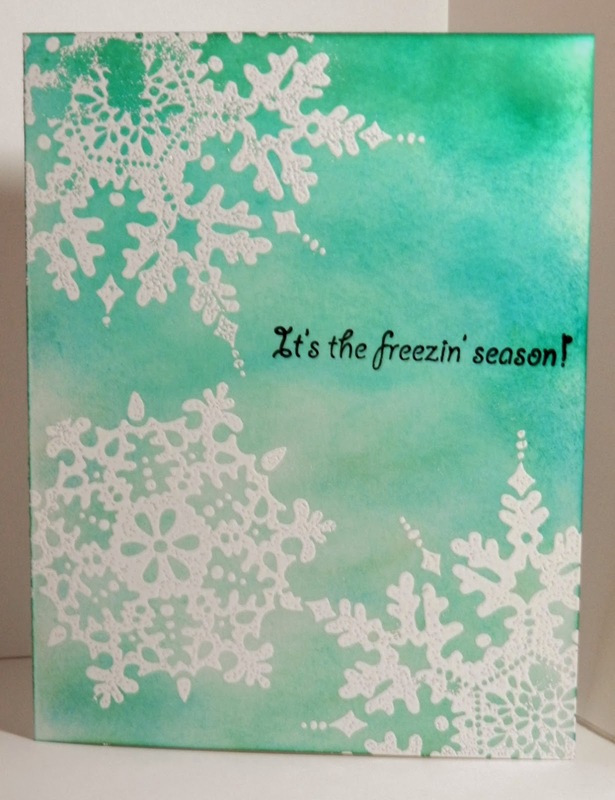 I am so ready to be done with winter...but your snowflake card is a beautiful reminder of this season! Very pretty card!! I love the snowflakes! Love your inky background!! The embossed snowflakes are pretty too!! Love your card and the colors. Very different and pretty. What a beautiful card , I love the colors and the snowflakes ! Pretty card - love the embossed snowflakes. I follow you with Bloglovin'.